We pack a great deal of information into our bike tests. Even if you are not interested in the bike being tested, you can gain valuable information on components and bike usage by reading the test. 2. Don’t trust the blogs. Message boards and blogs are very entertaining. Trouble is, there is misinformation out there, and industry insiders pushing their product may post much of the info anonymously. Check bike companies’ websites for the location of their demo fleet (like Pivot has done here) and go try them. Nothing beats seat-of-the-pants buying decisions. Nothing! Don’t limit yourself to inexpensive bikes because you are new to mountain biking. Expensive trailbikes are lighter, easier to dial in (because tuning is done externally) and more fun to ride. If you can afford an expensive bike, go for it. The $3500 price point is the sweet spot for really great dual-suspension trailbikes. That means trailbikes within 10 percent of this price offer the best value. A $1000 budget will get you an excellent hardtail bike (with 29-inch or 27.5-inch wheels) that is worthy of upgrades as your skills increase. That budget will get you an entry-level dual-suspension bike. Limit yourself to a hardtail mountain bike if you are spending less than $900. If you spend less than $500, you will get a bike better suited for bike paths than abusive mountain biking. This bike will not be worth upgrading later. 6. Good for both of you. Don’t be surprised if the bike shop tries to bump you up to the next price level. They are doing you a favor. We can’t tell you what bike will work best on your trails without taking a ride with you. A good bike shop is a great ally for steering you towards the best bike for your riding destination. If there is a popular riding spot near you, visit the trailhead at 8 o’clock on Saturday or Sunday morning and look at what the riders are riding. You will find most mountain bikers love talking about their bikes. 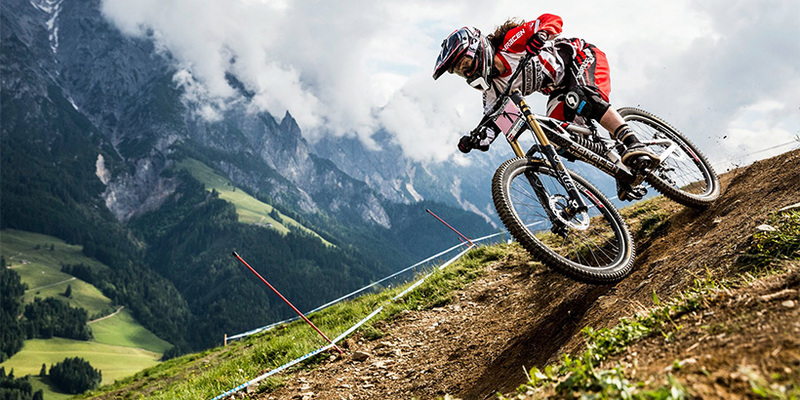 Ask a rider how long he has been a mountain biker, how long his rides are and why he rides his particular bike. Racers are usually sponsored and will shamelessly plug their current sponsor. Good for them; maybe not so good for you. If you are new to or interested in mountain biking, we just released our 2014 Buyer’s Guide that really helps you make the tough decisions. You can buy an issue on the newsstand now or call (800) 767-0345 to purchase one and have it sent to you or click here. « Walking in Ultras – Soft or essential?